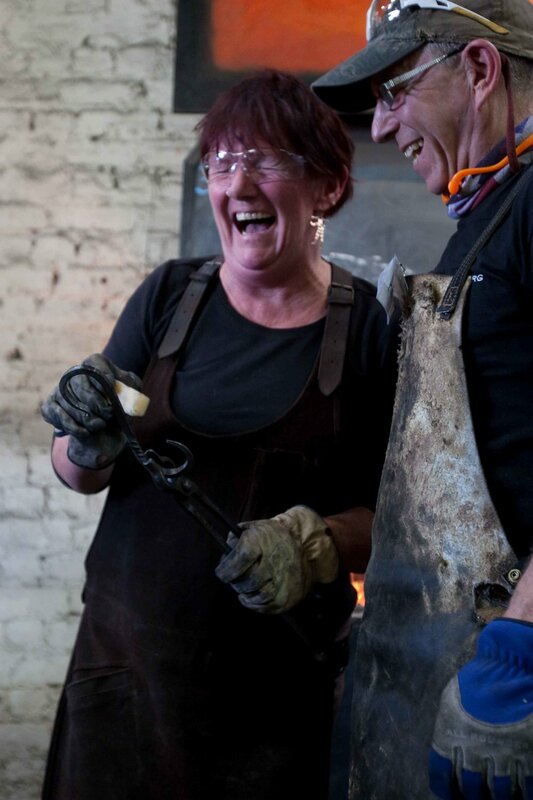 2017 saw the Blacksmiths Festival moved from March into the cooler month of May. 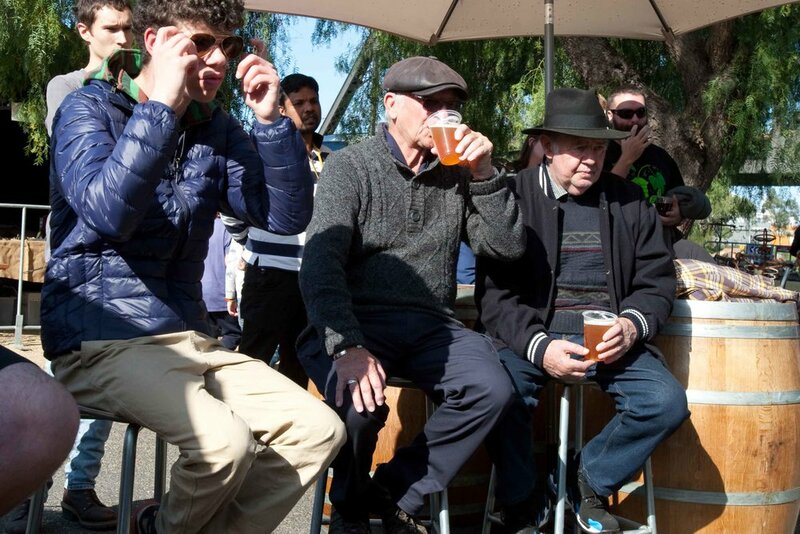 This change proved to be a great success, with an estimated 4000 visitors arriving to join us in the fun. 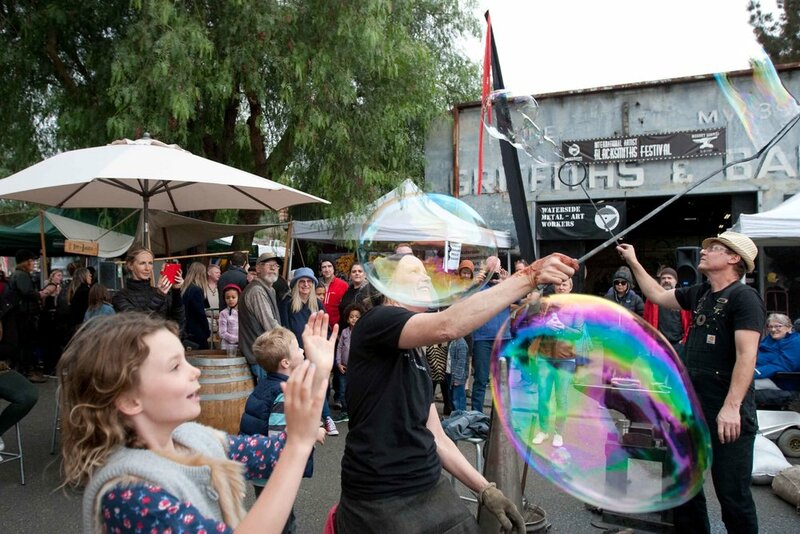 The festival was once again filled with fire, smoke, the sound of blacksmiths forging, demonstrating and live music including Gypsy/Flamenco Band LaRhumba, the Snack Thoughts and a lovely operatic duet by local singers Emma & Olivia O'Brien. 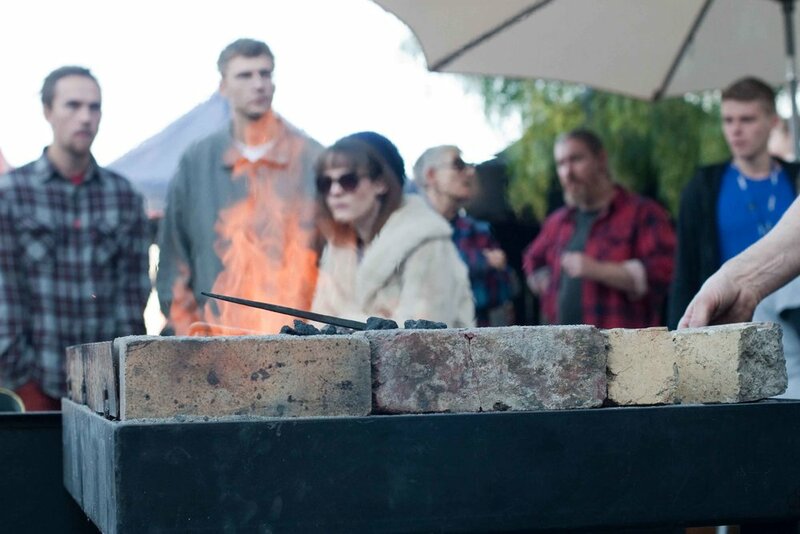 All of this could could be enjoyed whilst standing around a fire barrel and sipping on a cold Belgian beer or mulled wine flowing from the El-Shippo Pirate Bar. 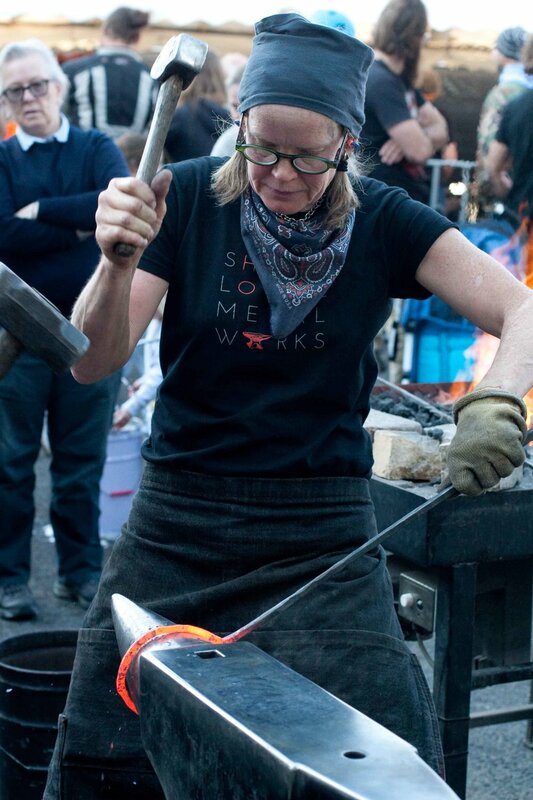 One of the key highlights of the 2017 festival was the attendance of female master blacksmith Shawn Lovell from SanFransisco, USA. 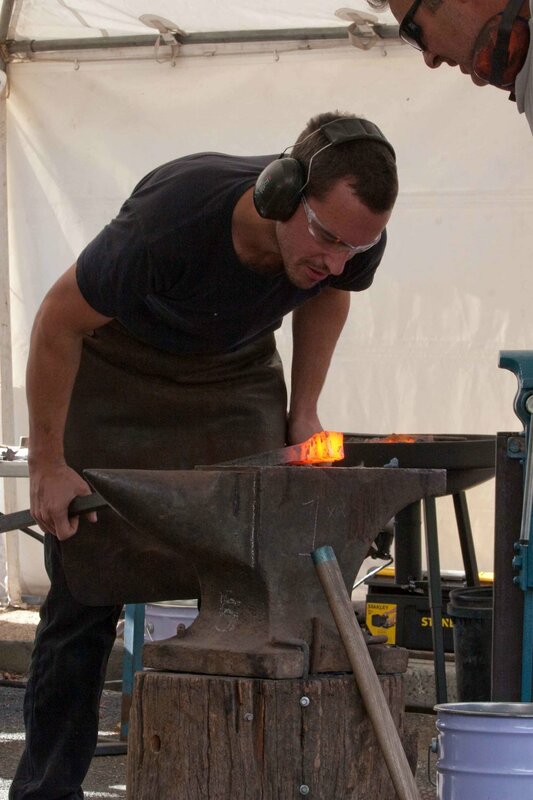 Together with the able assistance of Bruce Rasmussen, Shawn ran two sell-out pre-festival workshops in artist blacksmithing involving pizza cutter and spatula forging. 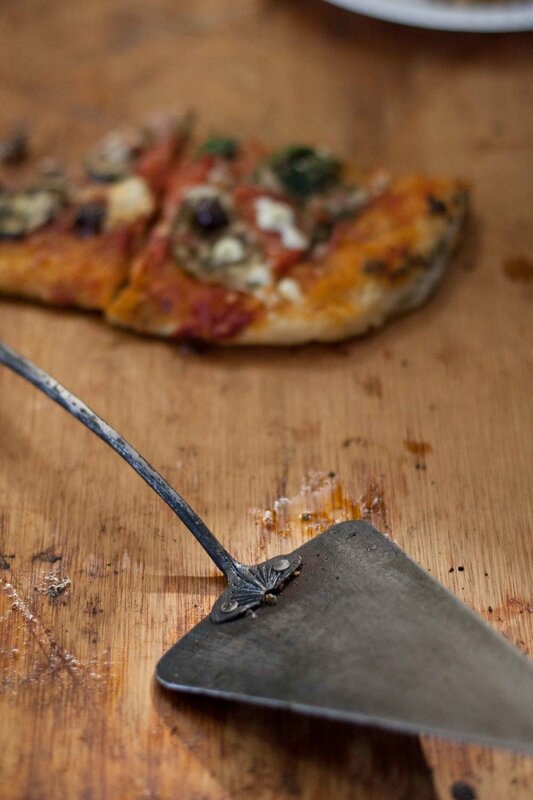 These workshops were topped off with wood fired pizza making, implement testing and consumption at the BiGfiSh Workshop. 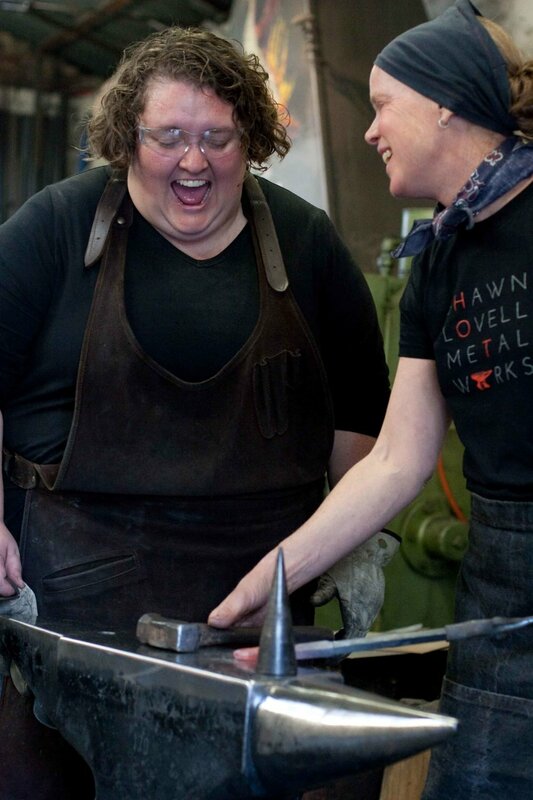 Shawn's amazing skills were also profiled in a couple of public demonstrations where she forged large steel bubble wands which were quickly grabbed by local children who used them to fill the festival with bubbles and laughter. If you want to get a feel for what it's all about, check out this short video clip of Shawn and Estebaan at the festival. 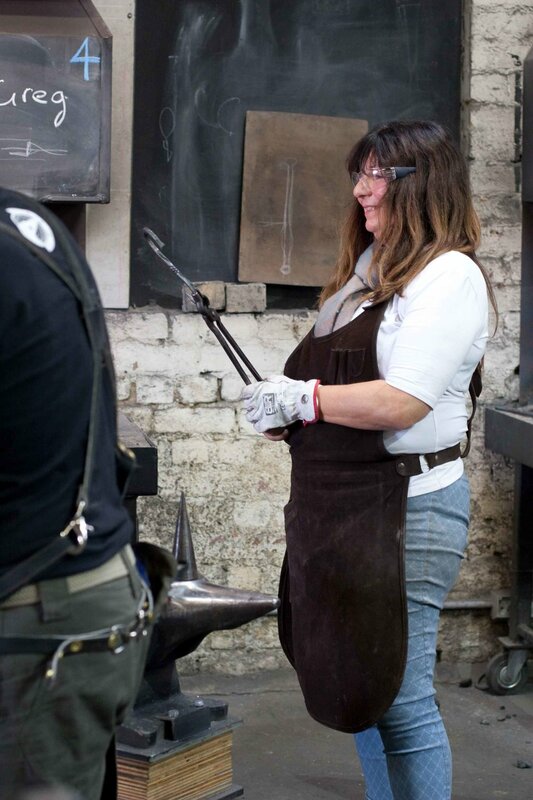 As a backdrop to Shawn, a high energy team of blacksmiths from Tasmania led by Simon Pankhurst could be found forging a large "tribal" seating sculpture. 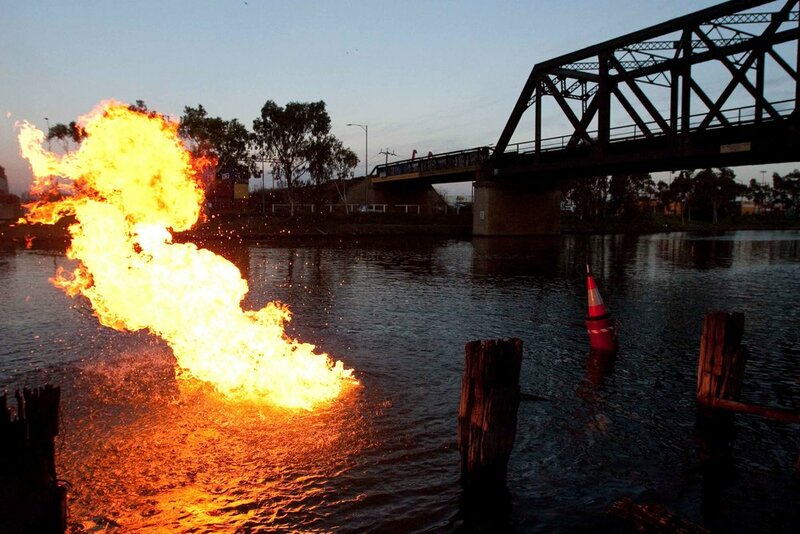 Another key highlight of the festival included the "fire-on-the-water" spectacular which saw the Maribyrnong River erupt in flames. 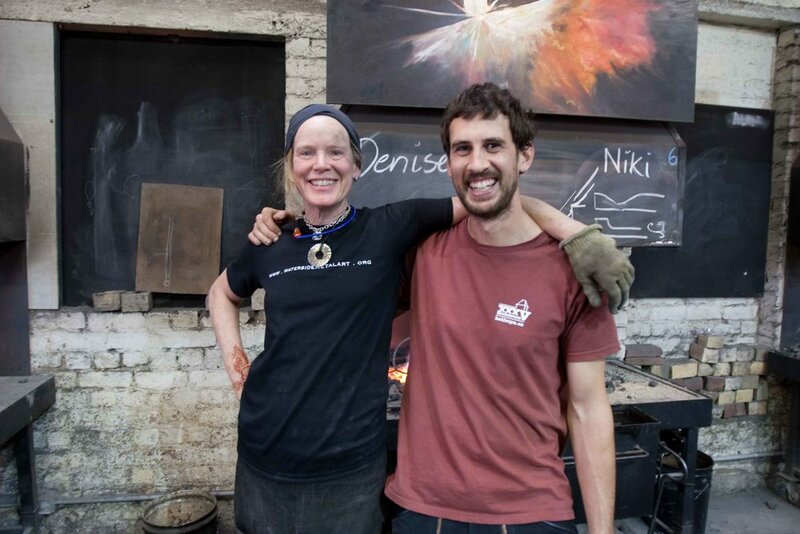 A blacksmiths dinner was held and attended by over 60 persons in the heritage listed Henderson House, located just up the hill from the festival. The dinner kicked off with the award of a ceremonial chain to Maribyrnong Councils Mayor Catherine Cummings, for 20 years of service. 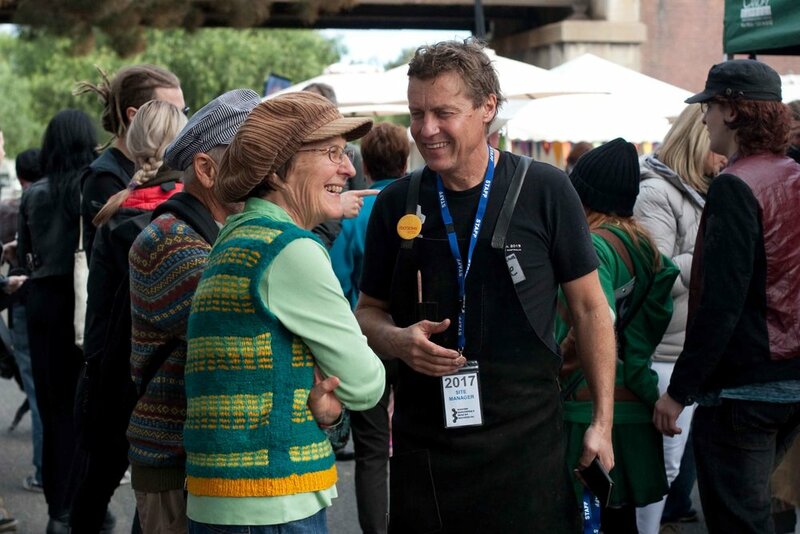 The chains design was modelled on the old mayoral chain held by council and forged by association members with the assistance of the BigFish Workshop. 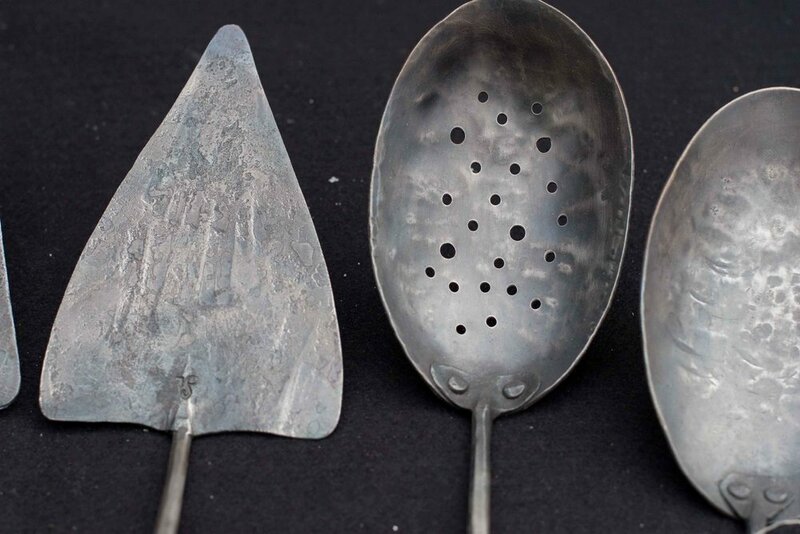 After dinner a panel discussion was held on the subject of "Metal Art, Why and Whereto?". 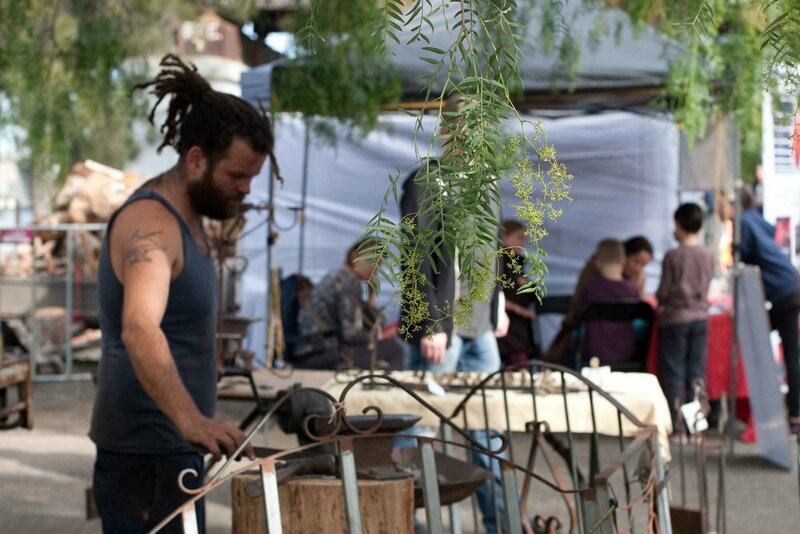 The panel discussion was chaired by Bruce Pringle (Hammer & Hand Collective, Byron Bay) with a range of renowned local and interstate metal artists and resulted in some lively discussion and debate.